Brentwood Town ended the SeedGrowers streak of seven wins in a row on Tuesday night after coming from behind to beat the Town by three goals to two. 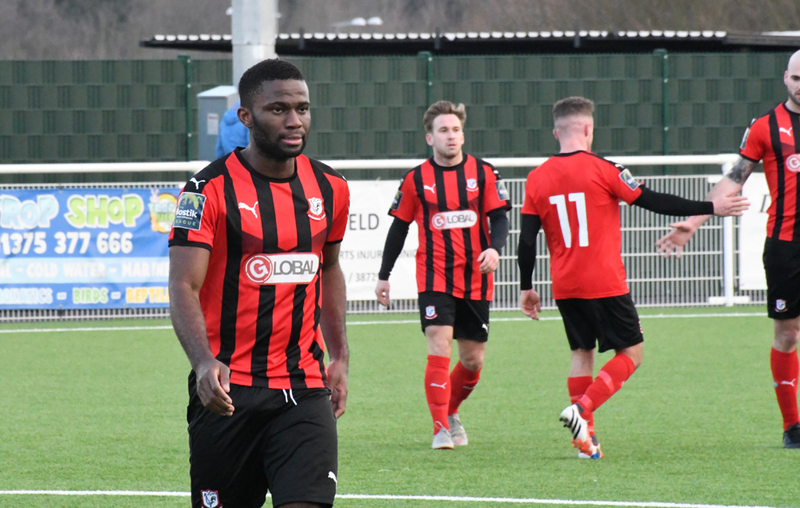 Graeme Smith’s men led at the break by just the one goal, thanks to early strike from in the form, Nnamdi Nwachuku (pictured). After wasting a number of chances in the first half, Coggeshall soon found themselves three-one down after conceding three goals in less than fifteen minutes at the start of the second half. The SeedGrowers managed to pull a goal back, after Brentwood conceded a penalty, Nwachuku stepped up. ‘Nnams’ missed his penalty however was on hand to tap home the rebound to reduce the deficit, but Coggeshall were unable to find an equaliser as the eight game unbeaten run came to an end. To find the game’s match report in full, please click here.